Where do you think Sterling is on this list? Well, go ahead and find out! With the 2018-19 season nearing the end, the race for the Premier League title is closer than ever! 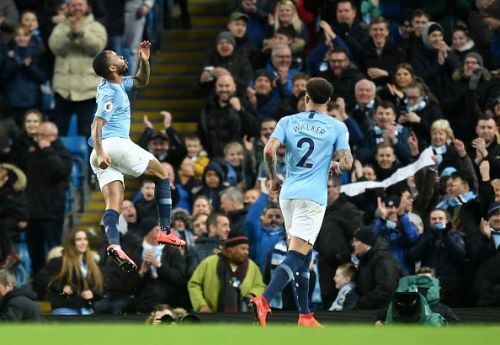 Manchester City are a point ahead of Liverpool after Matchday 30 due to the fact that Liverpool dropped points against Everton at Goodison Park on Matchday 29 and City did not fail to capitalise on it, winning back-to-back games against Bournemouth and Watford. A bit below on the table, we're witnessing a four-way battle for two Champions League spots, currently occupied by Tottenham and Arsenal. Tottenham were 10 points ahead of 4th placed Arsenal 16 days ago, and now they have a lead of only one point. After succumbing to Arsenal's impressive style of play, Ole experienced his first defeat in the Premier League at the hands of Unai Emery as the United gaffer has been dragged down to 5th. Chelsea terribly failed to capitalise on this brilliant chance to move ahead on the table as they dropped points against a robust Wolves side at Stamford Bridge, after winning back-to-back Premier League games against Tottenham and Fulham. The fight is probably going down to the last wire as none of the teams intend to give up, with some players getting their form back just at the right time of the season, whilst some losing it. Let's take a look at the current best players in the league after Matchday 30. Granit Xhaka is probably the most hated player at Arsenal alongside Mustafi, as the Swiss international has been terribly inconsistent for the past few seasons and he gets the stick all the time. His lacklustre performances have often cost the team, however, we are currently seeing a much more confident, capable and matured Granit Xhaka, thanks to Unai Emery. 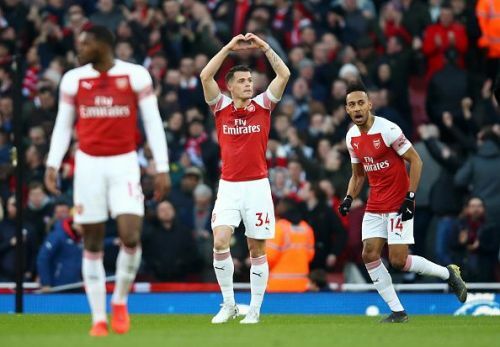 Though he still displays glimpses of inconsistency, Xhaka has been a key member for Arsenal in this season's campaign, often putting in the extra shift to play for the badge; a feeling he lacked for the last few seasons. The inclusion of Torreira and Guendouzi has got him on his toes, and as links to Adrien Rabiot coming to Arsenal grows, Xhaka's first team spot is in serious danger, and his response has been of finest quality. The 25-year-old has been performing at a god-level in the past few games. He is gaining form at the perfect time and this is massive for Arsenal. Last night, Xhaka's strike opened the scoring for Arsenal, and he was my man of the match for that game, though it fell in the hands of Aaron Ramsey, his midfield partner for the game.